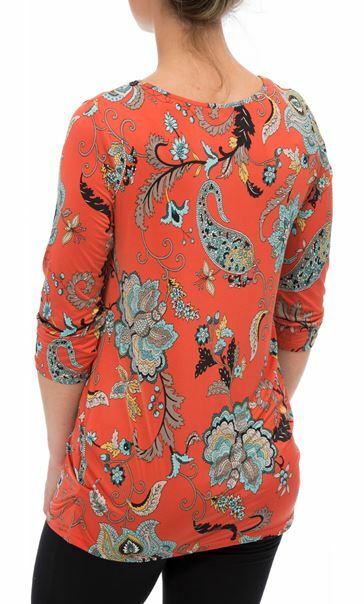 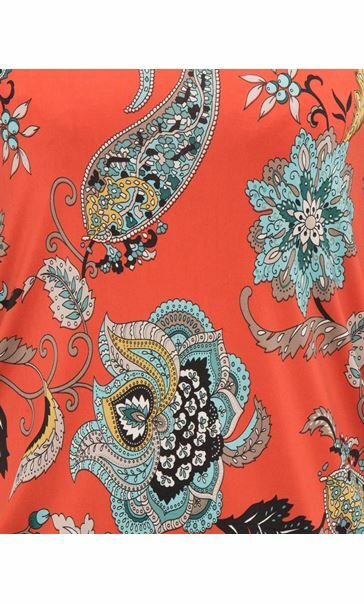 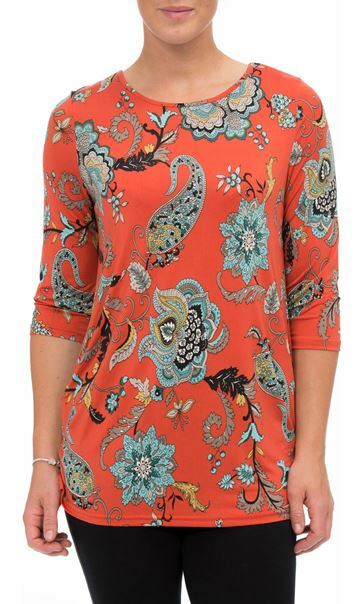 The perfect tunic for your wardrobe this season, looks great teamed with leggings or skinny jeans. 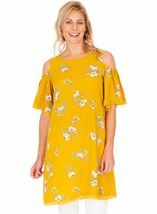 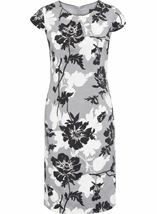 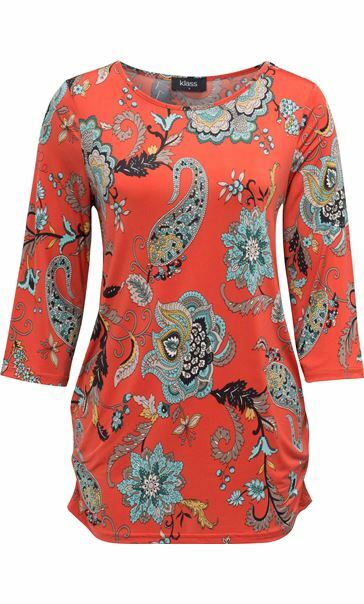 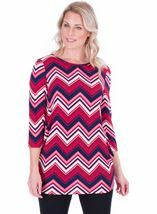 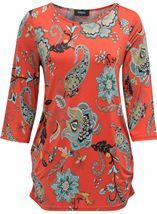 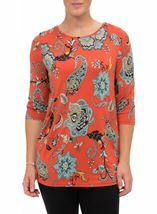 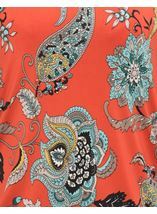 Loose fitting and crafted in an eye catching printed stretch fabric with three quarter length sleeves, round neckline and finished with ruching to the sides. 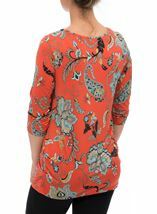 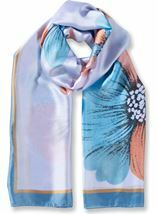 Back length 74cms.